Jack Ross rarely makes mistakes, but opting to play Adam Matthews at right-back against Burton Albion was a bad idea. Matthews had been very poor against Fleetwood Town and had been replaced by Tom Flanagan as a result. Most fans were convinced the substitute would get a start at the Pirelli Stadium, but Ross stuck with Matthews and he didn't do himself any favours. The right-back spot has clearly been an issue for us this season, with both Matthews and Donald Love underperforming, but Flanagan proved to us in pre-season and in the Checkatrade Trophy fixture against Stoke City U-21s that he is a very capable replacement. Matthews and Love have done nothing to warrant a place in the starting XI against Rochdale at the weekend, and there is no doubt that our defence would be much more solid with Flanagan on the right. McGeady has been missing all season due to an injury, but his substitute appearance last week is a massive boost. We seem to be struggling to take our chances and score goals at the moment and even Lynden Gooch couldn't spark any magic into our limp performance at Burton. If McGeady is ready to start, I would definitely consider putting him on that left wing ahead of Jerome Sinclair or Chris Maguire. 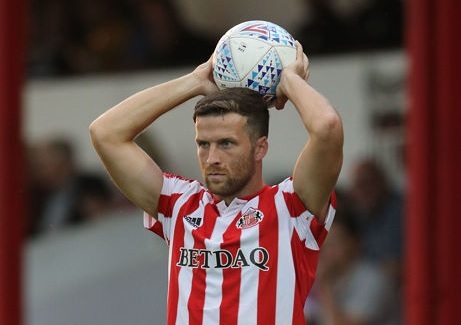 Whilst Maguire grabbed the consolation goal against the Brewers, there is no doubting the fact that McGeady's ability and skill would rattle any League One defence and perhaps he could help us take the three points. Conceding an early goal has become the norm for us now; you wont even hear the expected groan when the opposition go 1-0 after ten minutes anymore. This is a massive issue and while we mostly got away with it, our loss at Burton has proved that we can't just ignore it. The opposition will see our fixture as a huge game and will throw everything at us early on. We need to learn to prepare for this and outplay them, rather than letting them get their way during our slow, sluggish start. If Jack Ross and the team are able to put a stop to this then perhaps we will be able to start winning games again. Since the start of the season Ross had us playing some lovely possession based football, but recently we appeared to have gone back to the 'just hoof it up the pitch' way. I don't know whether this was because we had Charlie Wyke, but it didn't work and it definitely won't work now that he's injured. Once obvious improvement on Josh Maja since last season is how good he is with the ball at his feet. He seems to be able to worm his way out of anything and is pretty skilfull too. The one thing he isn't great at is heading the ball and if our defence are bombarding him with long balls then that isn't going to work. Returning to our nice, possession-based style is vital and there is no doubt we are capable of doing this with some of the lovely football our attack has come up with so far this season. Who should start at right back?